A tight labor market and an increasingly choosy candidate pool are creating a sense of urgency among employers to hire quickly. If they don’t increase hiring efficiency, they risk losing top talent to their competitors. As unemployment continues to drop, candidates have additional career options and are more willing to leave their jobs for what appear to be greener pastures. This exodus of qualified professionals can be expensive—and stressful—for all companies involved. So, who are the most eligible candidates, and how are businesses quickly engaging with them? As a result of the survey findings, KPMG has changed its graduate recruitment process. They’re seeking to beat start-ups or tech firms by appealing to Millennials. KPMG decided to accelerate the hiring process by consolidating the stages—cutting down the typically time-consuming ordeal and improving hiring. Technology like Skype is making the interview process quicker, easier and more efficient. Video interviews are attractive to Millennials. They are tech-fluent and embrace new technologies. Also, interviewing remotely gives them geographic and scheduling flexibility. Not only is hiring Millennials through video interviews advantageous to the candidate, but to the employer who is increasing hiring efficiency and opening up their candidate pool outside of their local market. Conducting multiple interviews and assessments over the course of several weeks is inefficient. Smart employers should combine the process into one day by having a panel of interviewers at one time. Again, this speeds up the process, eliminates redundancy and saves times for all parties involved. Companies can streamline their interview processes by letting a staffing firm do all the pre-interview due diligence. This includes reference checks, degree verification, and salary requirements. In the current economic climate, if companies have a position to fill, it’s usually too late. Hiring in slack times and hiring quickly might be the only way to beat the competition in this tight talent landscape. Working with a staffing firm also helps develop a pipeline of qualified candidates to give hiring managers the edge they need. The benefits of an expedited hiring process are clear. Job candidates appreciate the convenience, and it saves your business time and money. Having said that, there are corners one can’t cut. For instance, you should ensure that candidates are thoroughly vetted and that all hiring managers are on the same page. Yes, quick hires are often beneficial, but jumping the gun and hiring the wrong candidate will only lead to bigger, costlier problems. Like anything, you must strike a prudential alance. 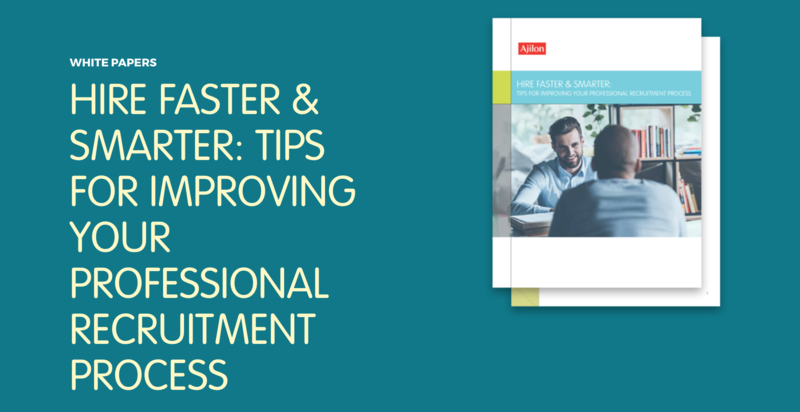 To get the full scoop on the advantages of a faster hiring process, check out our new white paper. When bringing new employees onboard, pay them right. Efforts to recruit and retain top talent should always come with appropriate salary figures. 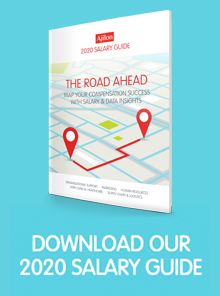 To find out what to pay your people, reserve a copy of our 2018 Salary Guide.